Colleagues participating on a recent Civil Service Local North East, Yorkshire and the Humber Academy realised that there was no easily accessible, cross departmental job shadowing opportunities available to them. Working together they have developed a project called I shadow to enable Civil Servants to job shadow colleagues in departments other than their own. We are now looking for your help to make it work. Could you give up a short amount of your time to host a colleague from another department who is interested in your work? 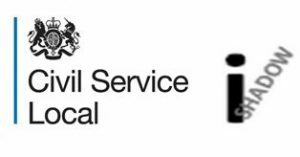 Hopefully this will make it possible for colleagues from across the North East and Yorkshire and the Humber to share their experiences and skills, build networks and experience the wider Civil Service in a way that is positive and engaging. It is up to you how much time you give and we have attached a guide to job shadowing that we hope you find helpful when considering whether to offer your help.